Between 8 .30-10.00 am a delicious breakfast is served outside under the chestnut tree or in our dining room according to the Van Gogh sky or not. There will be a selection of breads, French pastries, brioches, fruit juice, home made jam, yoghurt, cornflakes or muesli, sausage, cheese, lavender honey and fruits to go with your coffee, tea or hot chocolate. Gluten/lactose -free breakfast is available. Please mention it when booking. Dinner, every day a little surprise for your palates ? Daily Dinner served at 8 pm under a chestnut tree with the cicadas singing, enjoying the sun set of a nice and warm summer evening or in winter you will appreciate a delicious meal in the dinning room in front of our fire place. 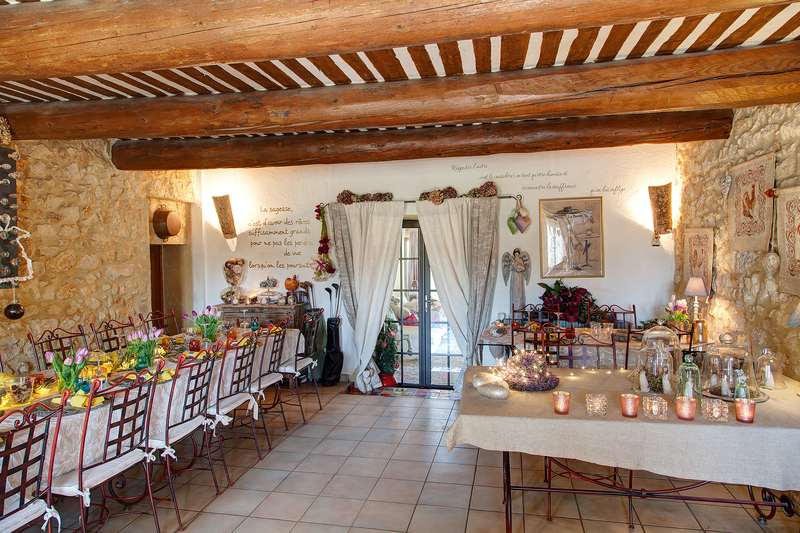 Every season, every day reserves its pleasures and brings them to our ‘ table d’hôtes” our dinner table. 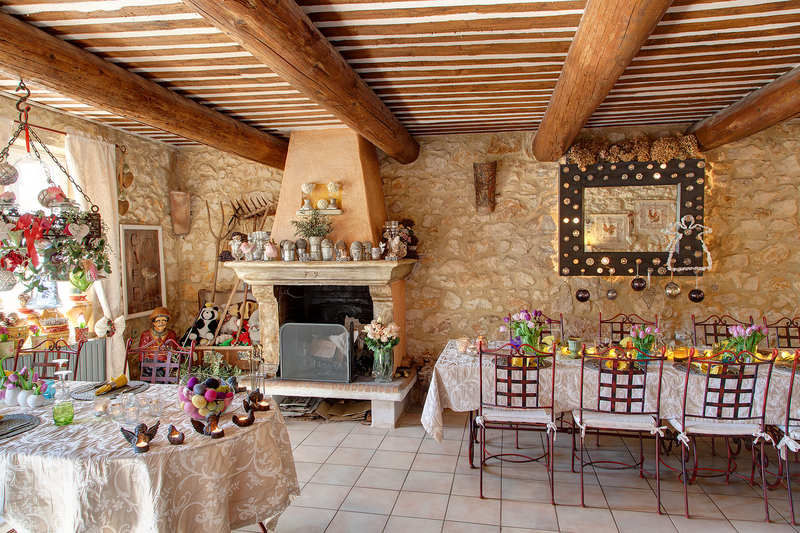 Ina and Thomas will make you share the good tastes of Provence. We do not have a “ classic” menu. Our daily meals are created according to the seasonal products and local tastes that we find every morning on the different markets in the area. On request we will be delighted to serve you a meal according to your intolerances. There is no good meal without the love for a good product and the great pleasure of sharing and conviviality around a beautiful table. It will be possible to taste delicious local wines from le Luberon, Côtes du Ventoux , Gigondas or a Muscat de Beaume de Venise or why don’t you start your meal with a glass of “vin d’orange”.. Please do not forget to reserve -before your arrival day – if you would like to join us for dinner on your 1st evening with us. We will be delighted to serve you a meal according to your intolerances on request. Please let us know at the moment of booking.